Welcome to our Battlefield 5 Gadgets Tier List. You can view all the Best Gadgets in Battlefield V for each class ranked in a tier list format from best to worst. 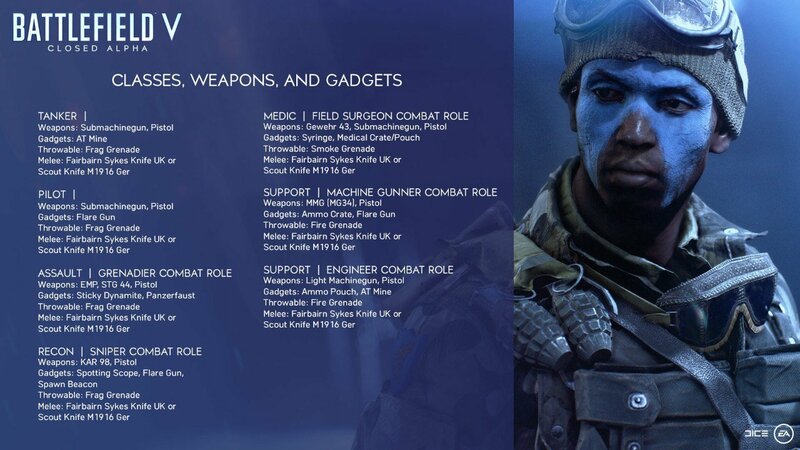 These are the Best Gadgets In Battlefield 5, some are class specific while others such as Melee weapons and Grenades are shared between classes. Battlefield 5 Gadgets are not as strong as class guns but the can also pack a punch in combat. The Battlefield 5 Best Gadgets Tier List is based on weapon stats and what class it is tied to. This tier list will apply across all platforms this game is available on, PS4, XBOX1, and PC. S Tier is the Best while F Tier will hold the below average options. Found a something you like? have a look at our weapons list.